Pascal and Sarah love The White Swan, if it’s unstuffy Gastropub food you want this is the place! It has a warm and cosy atmosphere, a passion for simple, seasonal goodness, real ales, fine wines, true Yorkshire hospitality....and it's even got two AA Rosettes. Enjoy a drink in the cosy bar, relax in front of an open fire and enjoy a selection of the best seasonal produce from the surrounding area. Here they encourage you to really put your feet up and relax, it’s just like home, only better. The White Swan Inn will look forward to welcoming you. Feast (Sarah’s favourite lunchtime hideaway) was conceived as a café and shop bringing the best of Yorkshire produce to Pickering. 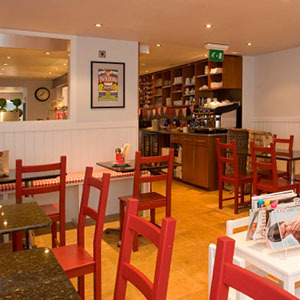 The café, take away and outside catering side of the business has grown and the shop has shrunk a little. With some carefully selected Yorkshire produce and the odd gift or two Feast still offers a browsing and shopping opportunity but we are keen to tickle your taste buds with their home cooking using the best of local, seasonal produce...Yorkshire is God’s own pantry after all. 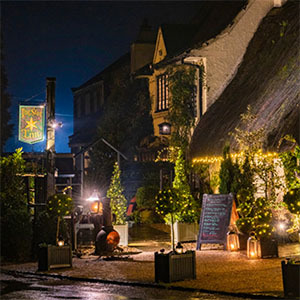 We are only 25minutes drive from the Iconic Star at Harome and Pascal would be delighted to get you a table with his old pal Andrew Pern Situated on the edge of the North Yorkshire Moors in the picturesque village of Harome, near Helmsley, this much-loved thatched Inn’s origins are understood to date back to the C14th. The current chapter of its history opened with the arrival of Chef/Patron, Andrew Pern in June 1996, since when it has been consistently rated as one of the UK’s top eateries, holding a Michelin star for a generous portion of Andrew’s tenure. 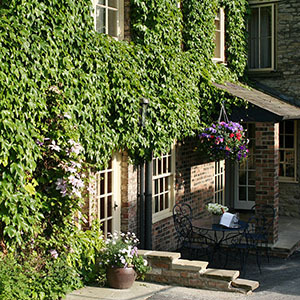 The Star Inn is essentially an Inn with Rooms serving ‘modern Yorkshire’ food made primarily from locally-sourced seasonal ingredients, such as local game, North Sea fish and fresh herbs from its own kitchen garden. Wines and beers are carefully selected to compliment the dining menu, whilst service is knowledgeable, but friendly. Add to this the atmosphere of an Inn with hospitality steeped into its very timbers for a proper Star treat. 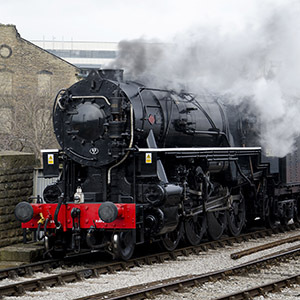 Hop on board the North Yorkshire Moors Railway and enjoy a day filled with vintage charm and amazing scenery on one of the world’s greatest heritage railways. 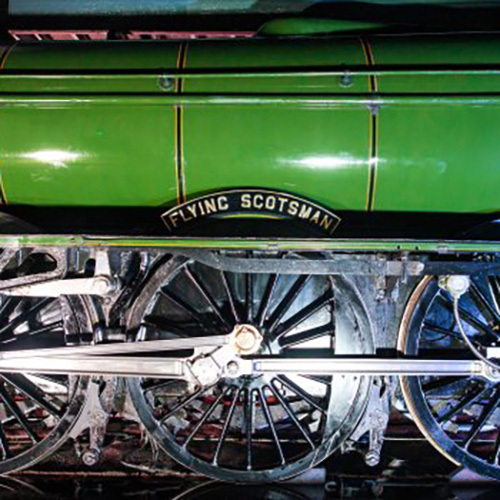 Let our fleet of steam and heritage diesel trains transport you along 24 miles of Yorkshire countryside and back in time to experience a taste of a bygone era. 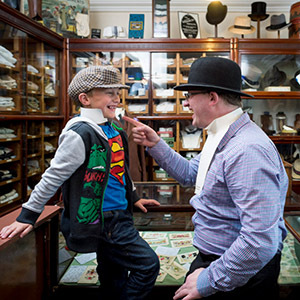 Arrive at our 1930s – style station in Pickering and explore the vibrant market town with its beautiful historic attractions. Pass through the 1912 themed Levisham station before heading off on a scenic walk; Skelton Tower is around a mile away and boasts amazing views of the valley. Request a stop at the tranquil Newton Dale Halt – not accessible by road, this is the ideal base for forest walks and spotting wildlife. 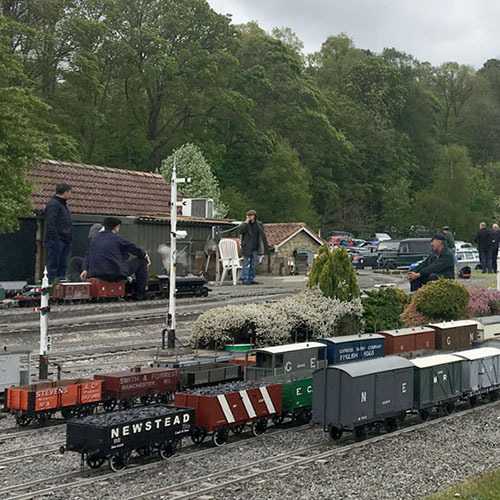 Be sure to visit our ‘celebrity station’ at Goathland – it served as the original Hogsmeade Station in Harry Potter and the Philosopher’s Stone, as well as part of Aidensfield in 90s drama Heartbeat. Spend a little time at the 1950s - esque Grosmont station and you may just catch a peak behind the scenes; this is the operating hub of the railway where the locomotives are stored and maintained. 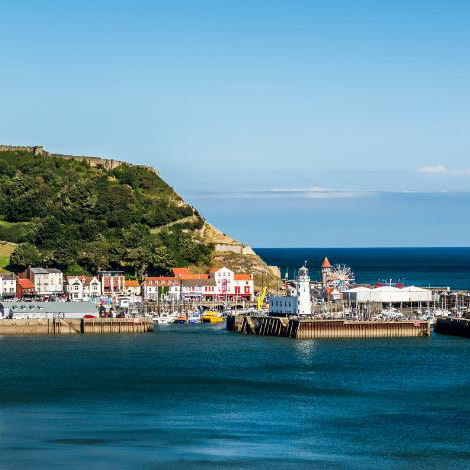 Ride to the end of the line and experience the seaside town of Whitby – with its folklore tales, bustling harbour and fish and chip dinners, it will compliment your day perfectly. 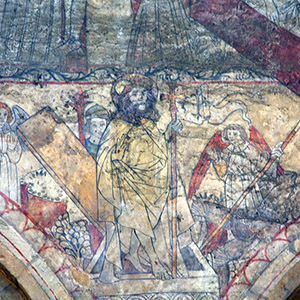 The medieval wall paintings, which give the church its fame, were probably first commissioned in 1450, and were painted the following decade, as details in the costumes and armour of some of the figures makes clear. Nikolaus Pevsner, the renowned expert on architectural history said that ‘This is one of the most complete set of wall paintings… and they give one a vivid idea of what ecclesiastical interiors were really like’. They are in fact one of about five sets of such extensive wall paintings still in existence in the country. The images vary in scale and in what they depict: some are large single figures; others tell stories. Details of each scene are given in the guide book, available from the Church bookstall. Probably at the time of the Reformation, and certainly with the spread of Puritanism, the paintings were hidden from view with coats of whitewash. Only in 1852, with work being carried out to repair and clean the nave, were the paintings revealed. The Vicar at the time, the Rev’d Ponsonby, wanted them re-covered, showing his dislike of them in a letter to the Archbishop of York: ‘As a work of art [they are] fairly ridiculous, would excite feelings of curiosity, and distract the congregation’. He went on to say that ‘the paintings are out of place in a protestant Church, especially in these dangerous times’; he subsequently had them re-covered in a thick yellow wash within a fortnight of the discovery. Fortunately, what had been revealed was recorded by drawings made by W H Dykes, an assistant architect at Durham Cathedral. Dalby the Great Yorkshire Forest is situated on the southern slopes of the North York Moors and offers over 8,000 acres of woodland to explore and enjoy, including play areas for children, barbecues for the family and plenty of waymarked cycling and walking trails for all abilities. The sky above the Dalby Observatories is now recognised as one of the best places to enjoy the night sky in the country. Declared a Dark Sky Discovery Site on BBC Two's Stargazing LIVE in January 2013, the Dalby Observatory Site has Milky Way Status. You can find out more from the Dark Sky Discovery website and Scarborough & Ryedale Astronomical Society. Visitors wanting to burn off some energy can hire bikes and use the 55 miles of cycle trails to explore the forest. There's a range of cycle trails from family friendly to highly technical demanding routes. For the more extreme cyclists, head to the cycle skills area at Dixon's Hollow and the UCI World Cup course which is available for those who fancy a challenge. Dalby Forest Cycle Hub offers bikes hire at Low Dalby near the Visitor Centre, while nearby in Thornton le Dale, Dalby Bike Barn is a one-stop-shop for all your bike related needs, whether it's for bike hire, servicing, a friendly local bike shop, coaching or courses. For a gentle and relaxing stroll within the forest you can use any of the waymarked trails. These start from several of the car parks and vary in length, so there's something for everyone. A number of paths are all ability, suitable for wheelchairs and pushchairs. There are plenty of picnic tables that can also accommodate wheelchairs. Guide maps for the waymarked trails can be purchased from the Visitor Centre. 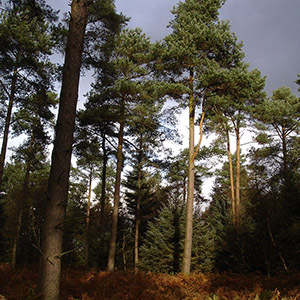 Dalby Forest has a wide range of special events throughout the year, including Forest Live music concerts, guided walks and children's holiday activities, plus wildlife and nature events. 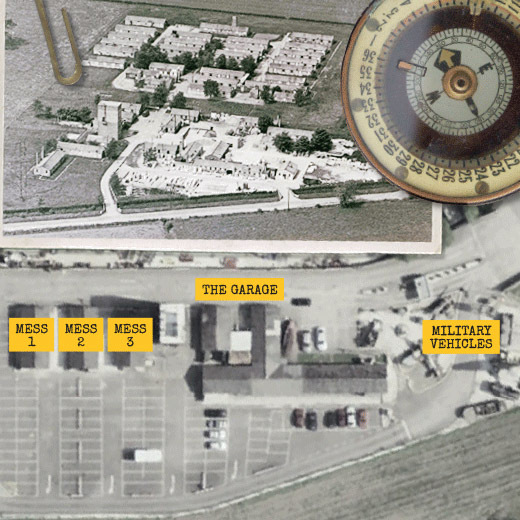 Experience the sights, sounds and smells of life on the Home Front and the Front Line, all set in the buildings and grounds of an original World War 2 Prisoner of War Camp. 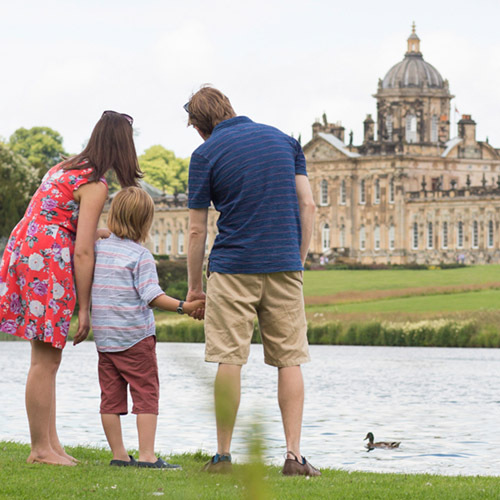 Generations of the Howard family have welcomed visitors to Castle Howard, one of the great palaces of Europe, for over 300 years and today we extend this warm welcome to you. Escape to this tranquil valley of the North York Moors and discover the impressive ruins of one of England's most powerful Cistercian monasteries. Our new visitor experience shines a light on Rievaulx Abbey's fascinating past and the lives of the monks who called Rievaulx Abbey their home. Explore our elegant museum displaying previously unseen artefacts which tell the story of the rise and dramatic fall of the first Cistercian abbey in the North of England. Wander the extensive ruins of the abbey to discover more about the building and how it looked at various stages of its development. Pick up an audio tour to learn more or hunt for clues of medieval life with our family trail. 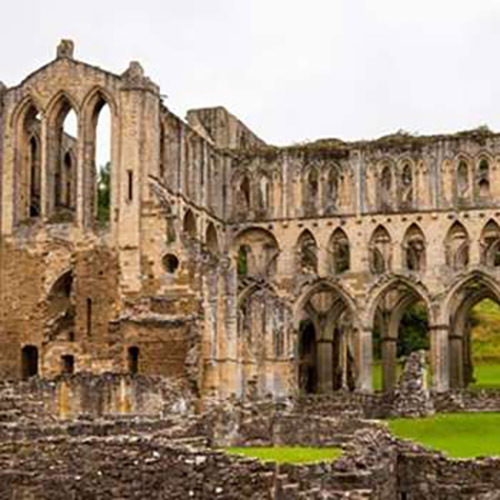 Take in the stunning views from our new visitor centre while enjoying a tasty treat in our new tearoom and appreciate why St Aelred's 'everywhere peace, everywhere serenity' description of Rievaulx Abbey could quite easily have been written today. 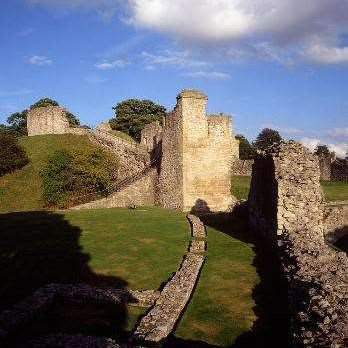 Why not park in the nearby chocolate-box town of Helmsley and take a scenic walk from Helmsley Castle to Rievaulx Abbey. 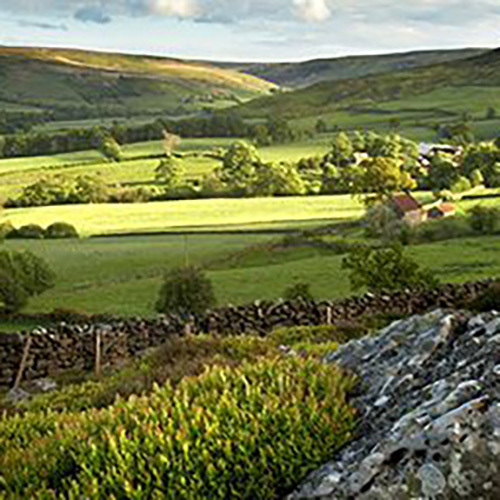 Helmsley is the only market town in the North York Moors National Park, and is the perfect base for enjoying the wider area. 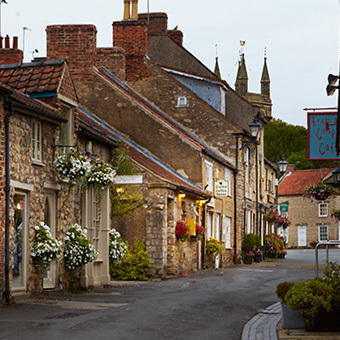 But there’s plenty to do right here in the town, from fascinating attractions including the National Centre for Birds of Prey, Helmsley Castle, Helmsley Arts Centre and the Walled Gardens, to award-winning eateries and the town’s very own Brewery. Enjoy shopping in interesting and unique stores, galleries and boutiques – the town is even home to the winner of Britain’s Best Small Shop 2015.